The National Gallery of Art in Washington, DC is a world-class art museum that displays one of the largest collections of masterpieces in the world including paintings, drawings, prints, photographs, sculpture, and decorative arts from the 13th century to the present. The National Gallery of Art collection includes an extensive survey of works of American, British, Italian, Flemish, Spanish, Dutch, French and German art. With its prime location on the National Mall, surrounded by the Smithsonian Institution, visitors often think that the museum is a part of the Smithsonian. It is a separate entity and is supported by a combination of private and public funds. Admission is free. The museum offers a wide range of educational programs, lectures, guided tours, films, and concerts. What Exhibits Are in the East and West Buildings? The original neoclassical building, the West Building includes European (13th-early 20th century) and American (18th-early 20th century) paintings, sculptures, decorative arts, and temporary exhibitions. The East Building exhibits 20th-century contemporary art and houses the Center for Advanced Study in the Visual Arts, a large library, photographic archives, and administrative offices. The East Building gift shop has been completely redesigned to accommodate a new assortment of Gallery reproductions, publications, jewelry, textiles and giftware inspired by 20th- and 21st-century art as well as current exhibitions. On the National Mall at 7th Street and Constitution Avenue, NW, Washington, DC (202) 737-4215. The closest Metro stations are Judiciary Square, Archives, and Smithsonian. The museum is open Monday through Saturday from 10:00 a.m. to 5:00 p.m. and Sunday from 11:00 a.m. to 6:00 p.m. The Gallery is closed on December 25 and January 1. Take a look at the exhibit map in advance and be sure to have enough time to explore the galleries that interest you most. This is a huge museum and there is a lot to see. Enjoy the moving underground walkway between the West and East buildings and marvel over the thousands of twinkling LED lights that make this walkway a work of art. Attend a special event, see a film or concert and take advantage of many of the free educational programs available. Be sure to visit the Gallery Shop which has a wonderful selection of gifts. You can purchase reproduced prints of many of your favorite works of art. Enjoy a leisurely walk through the Sculpture Garden and enjoy one of the city's best outdoor venues. Three café’s and a coffee bar provide plenty of dining options. The National Gallery Of Art Sculpture Garden, a six-acre space on the National Mall, provides an outdoor venue for art appreciation and summer entertainment. In the winter months, the Sculpture Garden becomes a venue for outdoor ice skating. The Gallery has an ongoing schedule of free family-friendly activities including family workshops, special family weekends, family concerts, storytelling programs, guided conversations, teen studios, and exhibition discovery guides. The Film Program for Children and Teens aims to present a broad range of recently produced films, selected for their appeal to youth and adult audiences, and at the same time to foster an understanding of film as an art form. Families may explore the collection together using the children's audio and video tour which highlights 50 masterpieces on display in the West Building's Main Floor galleries. The National Gallery of Art was opened to the public in 1941 with funds provided by the Andrew W. Mellon Foundation. The original collection of masterpieces was provided by Mellon, who was the U. S. Secretary of the Treasury and ambassador to Britain in the 1930s. Mellon collected European masterpieces and many of the Gallery’s original works were once owned by Catherine II of Russia and purchased in the early 1930s by Mellon from the Hermitage Museum in Leningrad. 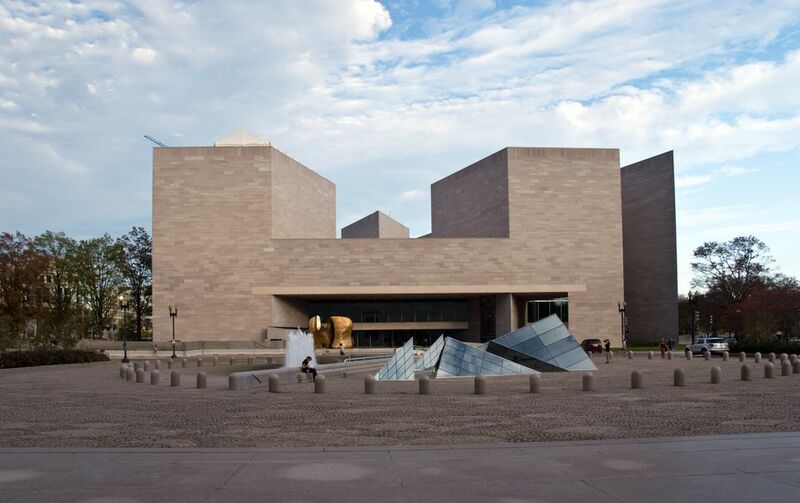 The collection of the National Gallery of Art has constantly expanded and in 1978, the East Building was added to exhibit 20th-century contemporary art including works by Alexander Calder, Henri Matisse, Joan Miró, Pablo Picasso, Jackson Pollock, and Mark Rothko.